Libidon Plus Now available in an easy to use spray Plus save with our new multipack offer. 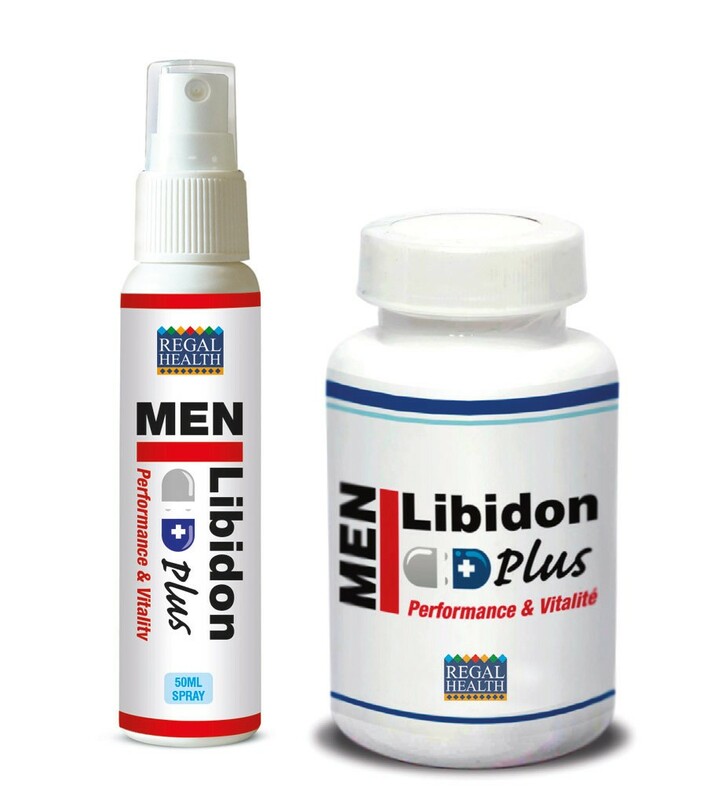 Libidon Plus has been formulated to relax the cells of the penile membrane in order to activate blood circulation, with natural ingredients including Muira Puama, Damiana, Tribulis, L'Arginine, Siberian Ginseng and many more stimulating herbal ingredients. These ingredients all work together to promote energy, vitality, vigour and sexual performance. Caution: Test on small area first to ensure there is no reaction. If sensitivity occurs discontinue use. Do not apply to damaged, inflamed or compromised skin. Keep away from eyes. For external use only. Keep out of reach of children. L-Arginine HCL, Capsule Shell: Gelatin, Microcrystalline Cellulose, Nicotinic Acid Zinc Gluconate, Calcium D-Pantothenate, Magnesium Stearate, Ginkgo Biloba Extract, Fennel Seed Powder, Cinnamon Powder, Nutmeg Powder, Gotu Cola Extract, Siberian Ginseng Extract, Kola Nut Extract, Damiana Extract, Rhodiola Extract, Horny Goat Weed Extract, Avena Sativa Extract, Pumpkin Seed Extract, Rosemary Extract, Muira Puama Extract, Tribulus Terrestris Extract, Silicon Dioxide, Saw Palmetto Extract, Ginger Extract.